Rep. Vicky Hartzler (r): Would that be for an open to the general public town hall? Representative Vicky Hartzler’s (r) congressional web site – November 25, 2013. What’s next? We have no idea. Campaign Finance: You were expecting anything less? Uh, former Vice President Al Gore (D) possesses just a bit of knowledge about the issue of nuclear disarmament. But they’ll certainly help pay for them. 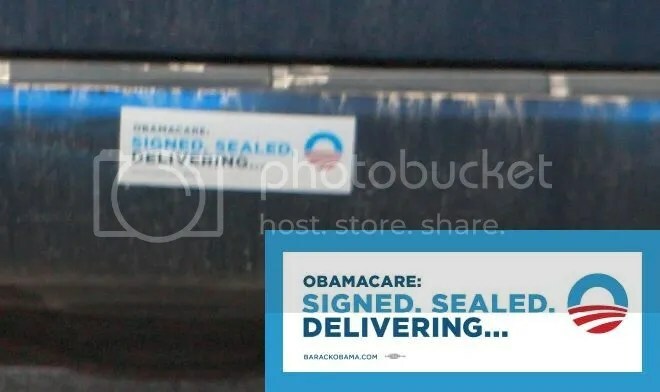 After anemic enrollment in the federal health insurance marketplace, several states running their own online exchanges are reporting a rapid increase in the number of people signing up for coverage, a trend officials say is encouraging for President Obama’s health-care law…. And that bodes ill for who? Dancing would definitely be involved. One of the worst bills passed in the Missouri General Assembly this year was one that made it a crime for any federal agent to enforce federal gun laws. Representatives Dohrman, Hoskins, and Senator Pearce all voted for this gun nullification bill. Fortunately, Governor Nixon’s veto was sustained. The headline story in the Star-Journal on Monday, November 18th, that reported the arrest of eight people in Johnson County on federal charges of illegal drug and illegal firearm possession raises an interesting question with respect to the gun nullification bill. The story quotes both Sheriff Heiss and Warrensburg’s Police Chief Hovey highlighting the cooperation of local law enforcement agencies with federal agents in these arrests. The bill that Dohrman, Hoskins, and Pearce voted for would have prevented such cooperation with respect to arresting people for violation of federal gun laws. In fact, the bill they supported required local law enforcement agencies to arrest federal agents who attempted to enforce federal gun laws. I look forward to reading the explanation that Dohrman, Hoskin, and Pearce have for why they supported legislation that would have made such cooperation next to impossible and whether they will continue to support gun nullification legislation in the future. A majority of the members of the U.S. Senate can change their procedural rules. Today that body did just that, in a reaction to republican minority obstruction, in ridding the body of the filibuster for district court federal judgeships, appellate court judgeships, and administration appointments subject to Senate approval. Bear in mind, a majority of senators must still approve these appointments. Senator Claire McCaskill (D) was one of the members of the Senate who finally had enough of the unprecedented republican minority obstruction and who voted for the rule change. Uh, you’re gonna have to wait until 2018. It’s going to be a while. Again, it’s a long wait to 2018. ….Blue Girl: One in nine federal judgeships, first question here, uh, they, you know, Congress, the hundred eleventh adjourned before the Senate could even consider hundreds of bills, uh, nothing’s been getting done, uh, this did not happen because it takes sixty votes to break a filibuster but because the minority can force the entire Senate to waste up to thirty hours ever, ever, every time the Senate holds a vote. What reforms do you support to stop this obstruction of even the most uncontroversial business? Senator Claire McCaskill (D): Um, well the good news is that we did get twenty-two of them through, um, judges through, uh, by, by unanimous consent right before we adjourned. So, that’s good. Um, I do think the secret hold thing is really important because if you own it then you gotta explain it. And what happens is these guys hold these things secretly and then they, of course, vote for the nominees when they’re for, forced to. Senator Claire McCaskill (D): So, you having the ability just to gum things up without anybody ever taking ownership is a huge problem. I am optimistic that we are gonna get the rule change on secret holds. Um, I think that is really hard for the other side to justify as they’re preaching transparency and accountability. I don’t know how they don’t accept a change in the rules to do away with the secret hold. And I think you do away with the secret hold it has an amazing ability to clean some of this stuff up. Now, do we make the changes in the filibuster? I would love to see the people who are filibustering have to be the ones to produce the forty. I’d love to see the people who are doing the filibustering have to hold the floor. I’d love for the people to see an actual filibuster. Blue Girl: They should read about the Polish Sejm. Michael Bersin, Show Me Progress: But does, but does anybody expect that, you know, given their past behavior that they wouldn’t do that anyway? Senator Claire McCaskill (D): The, yeah, poison pills. Um, at the end of the day. It’s probably what you signed up for when you go to the United States Senate, that you’ve got to cast difficult votes. And I’m one of the senators that is encouraging leadership to not always fill the tree, to allow open amendment process. Um, so, we’ll see what happens on the rules. But I, I’m gonna be surpri, we’ve all signed a letter saying we want these rule changes. And I am supporting these rule changes. And I’m hopeful these rule changes happen. Um, but if they don’t I think we’ve got to, you know, decide, um, how far are we willing to go and what are the consequences of that long term for the Senate and for the minority, not just in the current scenario…. Here’s the thing, anyone who thinks a republican majority in the Senate wouldn’t get rid of the filibuster (for everything) at their first opportunity is delusional. It took long enough for the current Democratic majority to realize just that. ….Question: …It’s an honor to talk to you. Uh, my concern, one of the concerns, is China. We’re buying military parts for our military from China. We’re buying military parts that do not work. We have closed factories in this country and that’s moved one of the big companies that we’re buying, [inaudible] countries that we’re buying from. [inaudible] We’re buying this stuff, we’re putting it in planes, we’re putting it in our material and it does not work. And they [inaudible]. There are a lot of people in this country that are getting fed up with this. I mean, fed up [inaudible] [Representative Hartzler: “Right.”] And something had better be done. I’m not threatening anybody. What I’m saying is something, I, I know, I follow this, and I know, I know what, I believe I know what I’m talking about. There’s a line in this country. And I’m on one side of that line, a lot of people are. And there are people [inaudible] on the other side. I don’t know what’s gonna happen. If things don’t change it’s not going to be good. It’s going to be bad. I really believe that. Representative Vicky Hartzler (r): Okay. Excellent. Excellent point. You’re, you’re spot on. I, I joined the, the name of the caucus is China caucus which I wish we’d change, change the name. But basically it’s a watch China caucus. It’s a, it’s a bunch of us who are concerned about China. And on a regular basis we get reports [inaudible] watching what they’re doing. And I am concerned. They are shipping all the, I’m concerned about the microchips. That they are in many, many of the things that we own. And some of those are embedded, I believe, with, with detection and, uh, capabilities or tracking capabilities. Things that we don’t know. I, I read a report the other day talking how China is the number one spy network in the world. And I thought, we need to have a new, uh, double oh seven James Bond movie, you know, with China as the bad guys, as the spies, because really, it’s true, those movies always portray, uh, Russia or something. But China has the largest spy network, they’re stealing our intelligence from our co, corporations. The article talked about how it’s the largest industrial, um, uh, espionage and, uh, stealing, uh, theft in, in history. And yet, how many people are talking about it, how they’re accessing our intellectual property of our corporations and it’s very concerning. Just want you to know, it’s supposed to be illegal, uh, you’re supposed to use American products in our military equipment. But, I’m not sure that’s always the case and so I am looking in to that as well, with your concern. To make sure that they’re not using China microchips in our planes or in our tanks or anything else. So, I want to make sure that doesn’t happen. So, I will follow up on that ’cause that is a concern I have as well. So, China is very concerning…. …China was found to be the source country for suspect counterfeit parts in an overwhelming majority of those cases, with more than 70 percent of the suspect parts traced to that country. The next two largest source countries were the United Kingdom and Canada. The Committee identified instances in which both countries served as resale points for suspect counterfeit electronic parts from China…. Actually, the report addresses substandard parts which could lead to reliability issues in a system or subsystem. That is an important issue, but it’s not “detection or tracking capabilities” embedded in consumer products. Somebody did totally distort the issue. It wasn’t Bob Yates.